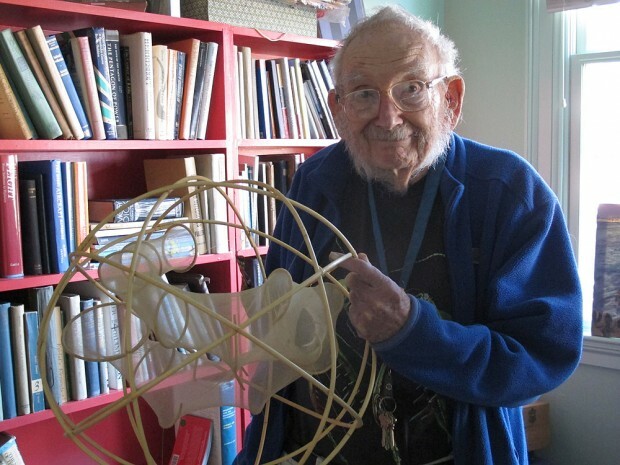 Boston Public Radio station WBUR reported that sculptor William Wainwright passed away last week at age 87. His name may not be familiar to you, but you see his work on a daily basis if you work or attend classes at Tunxis Community College. If you glance upward in the 100 building lobbies you will see Wainwright’s “Spiral Aurora” and “”Connecticut River Fish,” which were both created and installed on campus in 1992. To learn more about public art at Tunxis, ask to see Susan Simonds’, Art in Public Spaces: A Guide to Public Art on Campus. This entry was posted on August 22, 2012 at 12:38 pm and is filed under Uncategorized. You can subscribe via RSS 2.0 feed to this post's comments. You can skip to the end and leave a response. Pinging is currently not allowed.